If you are looking for a fun way to try and turn a modest starting amount into a much more impressive figure, a £1000 betting challenge may be for you. Of course, the main attraction here is that you don't require a huge starting bank to do it and can end up with significantly more than you started with. However, you will need to have honed you match selection skills to stand a chance and also have lady luck on your side, but it can be done. How can I be so sure? Because we are one of the few football tipsters around who have legitimately completed this kind of challenge in the past. Just a few months ago we managed to select 19 consecutive winning tips over a 30-day period to successfully turn our original £20 stake into £1009.49!! But what exactly is a £1000 betting challenge? Simply put, it involves you starting with a small amount such as £10 or £20 and attempting to turn that into £1000 over the course of the challenge. When a bet wins all the winnings from that bet are used for the next bet, and so on, until you hit that magic £1000 figure! As you would expect, this type of challenge is designed for excitement and fun rather than steady, long-term profit. So if you do fancy doing something a little different for a low-risk then it is worth considering. Here are 20 of our most effective and exclusive tips to help you complete a £1000 betting challenge. Let me start by asking you a question: if it were raining heavily outside, would you paint your garden fence? Or would you take one look and leave it until next week as the conditions are obviously not suitable? Most sensible people would choose to leave it as they know that they will simply not get the result they want by painting in those conditions. The £1000 betting challenge is no different! It is natural to want to race to the £1000 as quickly as you can but don't let this skew your judgement. Only bet when the fixtures are suitable and there is a match that you are confident in placing your money on. If that is not the case, then wait until the next round of games that are suitable to come around, whether that be the following day or a week later, it makes no difference, the fixtures have to be suitable no matter how long you wait. In a way, this tip fits hand in hand with being patient. As above, you will be excited about making it to £1000 and this may start to influence your selections. A very common mistake people can make when completing a football challenge is to start betting on bigger odds to make more returns and thus make it to the £1000 faster. Remember that the odds reflect the chance of an outcome happening – if a team is 15.00 to win then that is because they probably won't. Chasing big odds and big wins is a sure-fire way to lose the challenge. Instead, stick to safe selections with short odds that you feel is almost guaranteed to happen, as one bad move and the challenge is over. Of course, you will want to make sure you are still getting value along the way so it's not a case of taking odds that are so low it doesn't make the bet worthwhile. Just remember to look for what feels sure and not start taking on large odds purely with the amount you may win in mind as the driving factor. Sticking to high quality leagues is essential keeping the outcomes as reliable as possible. With the sheer amount of football around the world now, most bookies will have a wide selection you could go for. While it is no doubt exotic to start betting on the Brazilian or Mexican leagues, you would be better off sticking to the better quality Leagues such as the Premier League or the Bundesliga. Why is this? In a nutshell, these major leagues have a higher level of predictability and so will make it more likely you will complete the challenge. This is especially true when you look at the best 3 or 4 teams in a popular league like Juventus, Napoli and Roma in Serie A. You will just have a much better chance of working out how a team like Juventus will do against Benevento compared to two teams in a lesser league. The reason higher quality leagues are more predictable is down to money. If we look at the English Premier League this season (2017/18), the top two teams (Man city and Man Utd) at the time of writing this article have spend a combined net amount of around £0.5 billion on quality players. Therefore if they play a team near the bottom of the league who has spend around £20million net, they will have a strong chance of winning because of the massive difference in player quality. From The Championship right down to League 2, the gap in quality between teams in each league is smaller. This makes games less predictable and therefore more risky when trying to complete a £1000 challenge. As well as sticking to high quality leagues, you should also only stick to leagues you know well and are confident selecting from. Although the French Ligue 1 is a quality league, if you have never followed it, then don't bet on it. 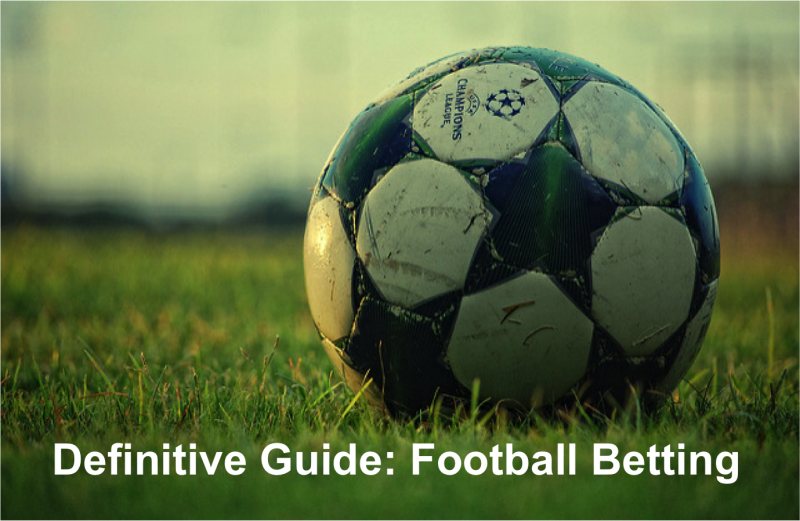 A vital part of football betting is having the background overview to know about the teams in the league and the knowledge around how they usually perform in certain situations. But what about the stats? While looking at past stats and factual research is essential, doing this blindly with a league you are not familiar with is risky. You need to have the complete picture to base your selection on – only having the statistical view does not give you that. Basing any decisions on stats alone will leave you at the mercy of unexpected outcomes that could have been swerved if you had expert knowledge on the league also. Be smart and stick to leagues you know well. This will give you the best and safest way to hopefully complete your £1000 betting challenge. In the same way as there are lots of different leagues to potentially bet on, there are lots of markets to pick from too. While it can be tempting to dive into markets that offer big odds or inviting selections, it really is best to stick to ones you know. Do you normally bet on the number of corners in the first half of games? If not, then don't suddenly begin to do that when trying to complete these challenges! If you don't really get how the Asian Handicap markets work, then give them a miss until you know them inside out and in the mean time focus on markets you do get! By far the best advice is to stick to the simple markets that are easy to find good odds on and that you are comfortable with. Obvious examples are Match Results, Draw No Bet or Over/Under Total Match Goals. These are easy to find with most bookies, easy to grasp and, with so many games to choose from, easy to get decent odds on. We all know that football is game of 11 players versus 11 players on the field of play. It is therefore crucial to take into account just which 11 players are being sent out there for both teams. If Team B fields its reserve team then all of a sudden, they don't look quite so likely to win! But what team news is it vital to check on before you put your money down? Injuries is one key area that you need to know about. Rock solid defenders or free-scoring strikers missing out for either team can really affect how they may do. Bans can have a similar impact as the player coming in may not be half as good as the suspended one! Sometimes managers can make life harder for football punters with their love of squad rotation. Take the time to see if the team you fancy are opting to rest a few of their key players for that particular game. If so, then the result may not be as easy to predict as it would otherwise have been. If you are feeling brave then it maybe worth backing a team you wouldn't have usually fancied, if the favourite team is considerably weakened for any of the above reasons. Football players are human too and the incentive involved in a match for them can have an effect on the result. If the game is very important, say for example Manchester City were at home and needed to beat Burnley to win the Premier League title, then you would correctly expect City to put in some extra effort. On the other side, if they had already won the title and the last game of the season was an away game at Newcastle, you could well see the opposite effect. The importance of the game in question needs to be assessed as it will make sure the bet you place is more likely to come off. It is also worth factoring in any upcoming distractions when doing this too. If PSG were playing in the French Ligue 1 but had the Champions League final a few days later, it could well affect how they play. Some PSG players may have one eye on the Champions League final, making the game you are looking at have a very different complexion. Tip 8: When Was The Last Match Played? Tiredness plays a huge role in football betting and deciding which team to back. Fatigue can creep in, especially towards the end of a season or over the busy xmas period. This is even more true for teams with smaller squads who normally play the same 11 if possible. Make sure the team you are planning to back won't tire towards the end of the game by checking when they last played. Ideally, you want them to have had a good period of rest to recover thus meaning they should play to their best ability. Of course, the flip side of this is looking at the opposition too. When looking at the opposition, you want the opposite scenario to play out. They should ideally not have had much rest since their last game and less than the team you are backing. If you find a game like this, it should mean your team has more energy and stays strong all game to take advantage of any opposition fatigue. We all know the old saying 'Form is temporary, class is permanent' and essentially this is true. However, when completing a £1000 challenge or betting in football, form does become important. We all know Bayern Munich are a top team but if they are on a bad run, it really is best to find someone else until they pick up. The reason behind this is one of confidence. Football is a confidence-based game and this is true for all teams, no matter how good they are. A team on a bad run will be low on confidence and thus less likely to perform how you would normally expect them too. Before you back a team, look at their form and assess their confidence levels. If you think they are at a low ebb, give them a miss for a few weeks as they could well underperform. Tip 10: Avoid The Cups! One really valuable tip when selecting bets for £1000 betting challenges is to avoid wagering on any cup games. The cup competitions are just too hard to call and too fond of springing shock results that you would never have predicted. In effect, it turns football betting into a lottery which is not what we are aiming for. Wigan in this seasons (2017/18) English FA Cup show just what can happen! The problem with cup competitions is mainly twofold. The bigger team will sometimes rotate their starting 11 which leaves them weaker and exposed to a shock defeat. In addition, the incentive levels of the team you would normally back may be lower than their opposition, leaving them open to a shock result again. With this in mind, it is best just to save yourself the stress and concentrate on league matches instead! All football betting must have one eye on preserving your cash and the £1000 challenge is no exception. To decrease your risk of losing, there is a neat trick you can do though! Once you have doubled your money, bank the original stake amount. This will mean that the money you used from your own bank account has gone safely back in, meaning you will not actually lose any money even you don't complete the challenge successfully afterwards. In essence, by doing this you are then playing with 'free' money you didn't have anyway, and this just makes it less stressful and more fun. One perhaps surprising but very common factor to consider in football is bogey teams. After all, surely it is a case of deciding which of the two teams is better overall and in better form? Unfortunately, bogey teams come along to muddy the waters a bit here! With this in mind, it is key to know if the team you are thinking of backing are facing their bogey team. A bogey team is a team that always does well and often beats another certain team in a league. It is definitely worth checking this out before you put any money down on a particular bet! If the team you were going to back are facing their bogey team then it is not wise to proceed. Don't be fooled if the bogey team has been playing badly or at the foot of the table – if you put any money down, you can be sure they will raise their game as has happened in the past. To research this properly, it is a case of checking out the recent Head to Head records of matches involving the two teams. One of the most popular aspects of football for fans is the local rivalry between two teams. A classic example here is the Premier League's 'Merseyside Derby', involving Everton and Liverpool. These kind of fixtures are great to watch but not so great to bet on though! The reason is that they are in effect much like a cup game. It is hard to accurately predict what will happen as the previous form and results go out of the window. A team that has been playing badly in recent times, may well raise their game for the local derby and spring a surprise win. This extra incentive for players and the added importance of the game makes them much harder to call. With this in mind, it is best to avoid any local derbies when completing your £1000 challenge. The risk is too great and there will be other fixtures around that give a more secure bet to take on. Stick to watching it unfold with nothing at stake and it will be much more enjoyable! Home advantage is a massive factor in football. Knowing this is a real boost in making sure you have the best chance of reaching that magical £1000 mark. In general terms, teams will play better at home and therefore the home team usually has the edge in games. Of course, this does need to be tempered with who is actually playing. Brighton against Manchester City is not such a safe bet as Manchester City against Brighton for example. Only betting on games where the home team seems most likely to see your bet win is a really good strategy to put into place. This will not only make selecting your bets easier but also increase the level of reliability in your selections. Some teams will also be practically unbeatable at home and win most of the time – Juventus in Italy are an example of this. If you draw up a list of these types of teams then when you spot them playing at home, you know that bet is pretty safe. If you can get decent value odds on it then you can place your bet with full confidence. This type of strategy is very simple too which makes it great for beginners or those short on time. This tip may seem a little leftfield as most of what I advise is based around hard facts and previous stats. These are still vital so please don't stop doing your research! However, as with normal life, you should also listen to your instincts too. Doing this will stop you from placing a bet that looks good numbers wise but might not actually win for you. Of course, to use your instinct like this, you need to be betting on leagues and markets you are familiar with. This is why I mentioned this in a couple of the earlier tips. You will not have your instinct to fall back on as a final check with a league you know nothing about. The best way to use your instinct is just to stop and think about the bet before you place it. Do this after your research so you have all the facts at your disposal to mull over. If for some reason, your heart is telling you 'No' then find another bet to take on. Bad weather is a pain in real life and in football too. From gales that make playing longer passing hard, to rain that makes the pitch slippy and difficult for shorter passing if the pitch gets waterlogged, bad weather can play havoc with results. The problem is that the conditions make any gap in quality between teams reduce down, thus levelling the playing field. When this happens, anything could occur in the game and either team may go onto win. As we have talked about before, winning the bets you need to complete the challenge is all about predictability. Being able to confidently predict the outcome of a game is what will win you money and bad weather removes this from you. It is not just the Match Result market it hits either – markets like Both Teams To Score or the Under/Over Total Match Goals can also be skewed as it becomes harder to score. So, if you spot that the game you are looking at will be played in a hurricane then give it a miss! Depending on when you are completing your challenge, you may hit a few weeks when not much competitive football is being played. For some people, this will see them betting on friendly matches instead but I would not advise this at all. The issue with friendly games is that they are very unpredictable. There is absolutely no incentive for either team to win or play well so it can lead to unexpected results or game events. In addition, the managers of each team will probably be trying out new formations or running the rule over squad players. This again makes it very hard to choose what will happen in the game of who will win. Give friendlies a miss and save your money until competitive games start up again. During the season, most leagues have regular international breaks for players to represent their countries. When you add in the World Cups and European Championships that happen over the summer every two years, then it may be tempting to bet on these games. Most people are so impatient to put any kind of bet on, that they cannot wait for the international fixtures to pass and lump money on them. My advice here would be to avoid doing that – unless you are 100% sure of the bet you are putting on winning. When I say 100%, I mean 100% - not you are pretty sure or you think it might do! International football is tricky as the players don't play together each week and therefore performances can be erratic. There is also the incentive level to factor in – if the match does not mean anything to one or both teams, it is hard to predict what may happen as players will not put in the usual effort. It really needs to be something like Germany needing to beat San Marino at home to get to the World Cup. A lot of what will help you succeed with your £1000 challenge is looking at previous facts and figures. This will tell you where the team you are thinking of backing is at the moment, compared to who they are playing. That is why backing teams with a new manager is not advised. When a new manager comes in, no-one knows what will happen. Will the team respond and start playing better? If they have been doing ok, will their form suddenly drop as a result? These questions simply cannot be answered with any degree of certainty, which makes backing any teams in this situation off limits. It also makes the previous stats that are so important redundant. With a new manager and a new way of playing, it is like starting from the first game of the season again with nothing to tell you what might happen. I believe in being totally honest when it comes to football betting. Let's be clear – to win the amount of consecutive bets you will need to and reach the £1000 mark, you will need some luck. While we can do all in our power to research and implement the above tips, sometimes you just need some good fortune along the way. So, grab a rabbit's foot or a four-leaf clover! Anything that will give you that bit of luck to see a last-minute goal go in when you need it or the other team's striker to somehow miss that open goal.